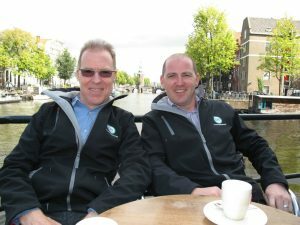 Co-host of the 2019 Influentials Study Tour to North America, Stephen Hodge brings a wealth of experience to the role. In addition to a life-time of cycling that started with every child’s milestone of learning to ride and riding to school through high school and college, Stephen’s love of cycling took him to Europe where he competed at the highest levels of amateur and professional cycling over a 13 year career. 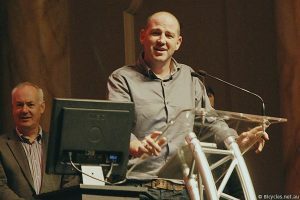 Since then, he has designed several community cycling facilities and consulted to local governments on cycling infrastructure, undertaken volunteer and professional event management roles, and for the last eight years has undertaken the national advocacy role for the Cycling Promotion Fund (now the Australian Cycling Promotion Foundation). In this time he has built a national profile across the sector in his efforts to focus on national consensus for action on the promotion and investment in cycling. Stephen loves addressing small and large groups and spreading knowledge about the benefits of cycling to opinion leaders and decision makers around the country. He is pleased to once again be accompanying a group of senior national decision makers to North America and believes the 2019 study tour will provide participants with a unique and in-depth insight into all aspects of America’s West Coast innovative transport culture and its relevance to Australia’s future transport and community development. Co-hosting with Stephen in 2019, Peter Bourke has had extensive experience in the sports management and community engagement sectors in the private, government, and not-for- profit sectors for almost 20 years. Spending several years in management positions with the YMCA across Australia, and fitness facilities in America, Peter took on management roles within indigenous sport and community education, before moving to community engagement and development with the government sector. 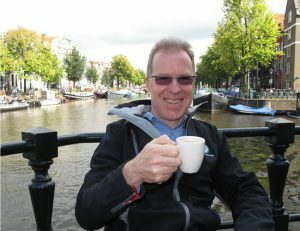 Peter is the Executive Officer of the Australian Cycling Promotion Foundation and also leads the peak body for the bicycle industry, and achieving key results in relationship management, industry engagement, training and future investment. 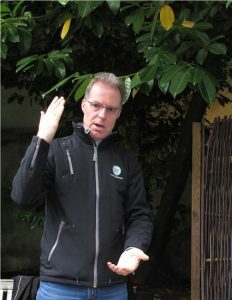 Peter took the General Manager role of the peak body for the Australian bicycle industry in 2010.